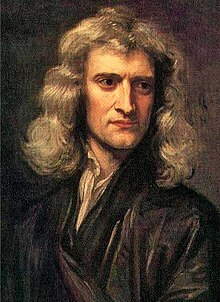 Isaac Newton was an English physicist and mathematician who lived 300 years ago. He was famous for the theory of Gravity and his 3 laws of motion that are still widely used (and will be discussed later). This page was last edited on 3 November 2008, at 21:00.